Sylvester Stallone one of the renowned American actors mostly known as John Rambo has just landed in Malawi via Kamuzu international airport. According to a source, the famous actor mostly known as Rambo, is in Malawi for Tourism, currently he is in Likoma. 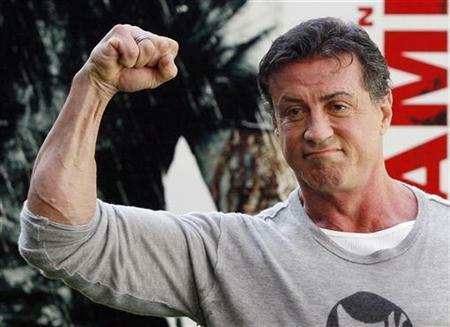 Actor, writer, director and producer Sylvester Stallone was born on July 6, 1946, in New York City. One of the most popular action stars of all time, Stallone is best known for portraying two heroic characters on the big screen—boxer Rocky Balboa and Vietnam War veteran John Rambo. In 1977, Stallone was nominated for two Academy Awards for Rocky, Best Original Screenplay and Best Actor. He became the third man in history to receive these two nominations for the same film, after Charles Chaplin and Orson Welles. He received critical raves, as well as his first Golden Globe Award and third Academy Award nomination, for reprising the role of Rocky Balboa in Ryan Coogler‘s 2015 film. Mumuone bwinotu mkulu ameneyo mwina adzakhala akunamizila tuwalizimutu akudzaononga. Ayenderenso ma video shows apeza mafilimu ake ali mu Chichewa. My best actor of all time,Rambo 2 was crazy!!! mmm zaboza, kulibe Rambo kkkkkkk koma a Malawi, musaone muthu wovala magras basi mwati ndi Rambo????? Tanyadira kuti malawi yatukuka mpaka Rambo kudzaponda kuno. koma funso ndi lakuti chifukwa chiyani wa sakha ku bwela ku nyasalande nde kuti munva akamabwelela kwawo kuti wa panga zakuti. So good so nice,Rambo in Malawi?at least we ur seen on d world map.Welcome MR feel free and have our chambo fish.